The Town has a variety of e-mail lists to which any interested person may subscribe. All material from the old site is available here. The Town is happy to provide archives of the Town Crier from February, 2005, onward. Submit news items for this page to webmaster@ci.riverdale-park.md.us . Mayor Archer and the Town Coucil appointed Timothy Kimbrough to represent Ward 5 on the Town Council last night. The seat had been vacant since June. A demonstration of the Town's new web site will be given at the upcoming Town Council work session on December 17 (8:00pm, Town Hall, 5008 Queensbury Road). The public is, of course, welcome. Details for when the site will be deployed will be available at the meeting. Former Ward 5 Council Member Gerard Kiernan passed away Saturday from complications associated with cancer. Afternoon and evening viewings for Gerard Kiernan will be held at Gasch's funeral home on Friday, the 12th of October, at 3-5pm and 7-9pm. The budget with the property tax rates as set by the Town Council at a special legislative meeting last night is available in Microsoft Excel and OpenDocument formats. The council may still make changes to the bugdet, but the tax rate is set. Budget changes proposed at the Finance Committee meeting on May 24 and 31 are reflected in an updated proposed budget in both Microsoft Excel and OpenDocument formats. As mentioned before, these are preliminary numbers provided for information. The tax rate will probably be set on June 7, and the budget finalized later in the month. The next two meetings of the finance committee are scheduled for 8pm, Tuesday (June 5) and Thursday (June 7) at Town Hall, 5008 Queensbury Road. In conjunction with the Veteran's Committee of Riverdale Park, a wreath will be placed at Veteran's Park on Monday, May 28th, at 11:00 AM. Located at Natoli Place by the MARC Staion, this very brief ceremony is in recognition of those who have made the ultimate sacrifice. Should one wish to pay their respect at this time, please arrive at least 15 minutes prior to the ceremony. It is important that people understand that this will change. This is a draft mode and moving target. Right now all council members are going through the line items looking for places where we can reasonably shave expenses. The spreadsheet will give people an idea about what was discussed and accomplished at the May 24 finance committee meeting but nothing is final until voted upon. At the finance committee meeting on May 24, we went through the first 30 pages of our budget books, covering general government. At the finance committee meeting on May 31, we will pick up where we left off, starting with the police department budget. The public is welcome. These sessions are where we get into detail regarding how/why/where we spend our resources. The next meeting of the Finance Committee to discuss the budget will be May 31 at 7:30 pm at Town Hall (5008 Queensbury Road). Update (May 26, 3:03 p.m.): The spreadsheet was replaced with a new version, which expands the explanation of some line items. Community Workshops to discuss the development of the Cafritz Property (between Baltimore Avenue and the CSX Railroad Tracks on the border between Riverdale Park and College Park) will be held Saturday, June 2, 2007 from 10am to 2pm, Thursday, June 7, 2007, from 7pm to 9pm, and Thursday, June 14, 2007, from 7pm to 9pm, all at Riverdale Elementary, 5006 Riverdale Road. More details are on a flyer and a web site provided by the Cafritz Family. Mayor Archer's proposed budget for the 2007-2008 budget year is available in Microsoft Excel and Adobe Acrobat formats. Official election results. Winners are in red bold text. A list of candidates for town offices (including Mayor and Town Council Representative for all wards) for the election to be held May 7, 2007, is now available. This Monday, February 5, 2007, the Town Council approved pay raises for the next Town Council and Mayor. Monthly pay will rise to $300 (from $200) for Council Members, and to $600 (from $400) for the Mayor. The vote was 5 in favor, 0 against, and 1 (newly appointed CM Morales) abstaining. Salaries for the Mayor and Council were last increased approximately 12 years ago. This Monday, February 5, 2007, Mayor Archer and the Town Council appointed Alberto Morales to serve out the remainder of Kenneth Webb's term (ending June, 2007). Council Member Kenneth Webb has resigned from the Town Council. For details, see Mayor Archer's letter announcing his resignation. 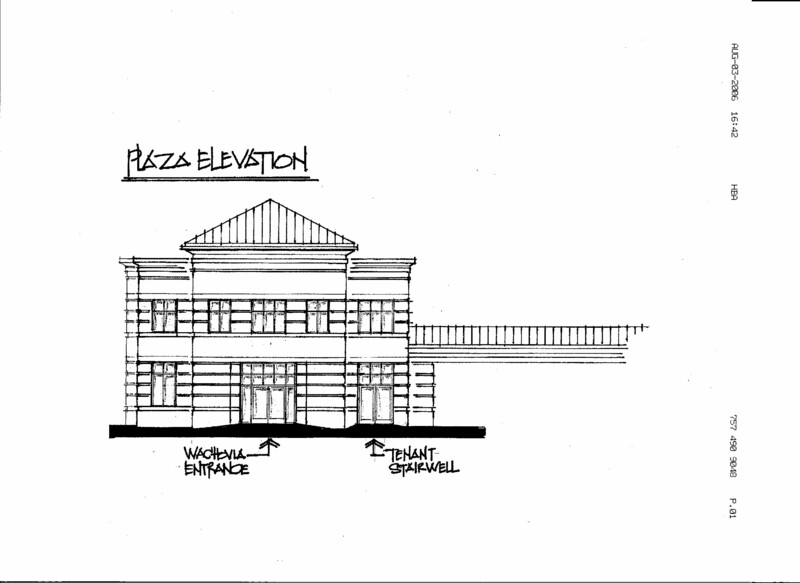 Plans for the proposed development in Town Center where Dumm's Corner, Dumm's Pizza, the old Credit Union building, and the boarding house on Lafayette south of Riverdale Road are available for public review. The Mixed-Use Town Center Local Design Review Committee approved the plans, under the condition that all mandatory requirements (including building height, parking requirements, and setback from the railroad tracks) be met or a an exemption granted under the special permit process. The next step for this development is for the Town Council to vote to either recommend approval or recommend denial of the requested exemptions. Available plans include the layout at the ground floor (retail) level from above, a view from the other side of the railroad tracks at the crossing, a view from the other side of the railroad tracks a little bit north of Riverdale Road, a view from the other side of the railroad tracks a little bit south of Riverdale Road, and a set of numerical tables about the development's square footage. Riverdale Park Holiday Market TODAY and TOMORROW! The Holiday Market and Festival of Lights is today, December 9, 2006, from 1:00 pm to 9:00 pm. The Market will continue tomorrow from noon to 5:00 pm. For more information see the Riverdale Park Holiday Market Web Site. The 1st Riverdale Park Holiday Market is getting organized, and will occur Saturday, December 9th, from 1 to 9 pm and Sunday, December 10th, from noon to 5 pm. The Festival of Lights trolley rides will be the evening of Saturday December 9th, as will the Riverdale Park Holiday Party. For more information about these activites check out the Riverdale Park Holiday Market Web Site as plans develop. The Town Crier for November is now available. The council voted unanimously this evening to appoint David Lingua to fill the council seat vacated by Novella Sargusingh's resignation. He will chair the Public Works committee as well. The versions of the Town Charter and Town Code on the web site have been updated, along with the explanation of what they are. Check out the updated Laws of the Town of Riverdale Park page if you are interested. The Town Crier for October is now available. CM Oppenheim introduced two pieces of legislation at the September Legislative Session. The first deals with the amount of pay the Mayor and Council Members will receive, and proposes changes in how their pay is determined. This legislation, if enacted, will only affect the pay of future councils (those elected starting in May 2007). The second changes the Town Code that regulates fences (and hedges that perform the same function as fences). CM Oppenheim has provided the full text of both so residents can review it and comment to him or their council representatives before the council votes on it. Update (September 25, 6:35 a.m.): The proposed legislation in Microsoft Word format for both the compensation for the Mayor and Council and fence/hedge legislation is now available. The Town Crier for September is now available. 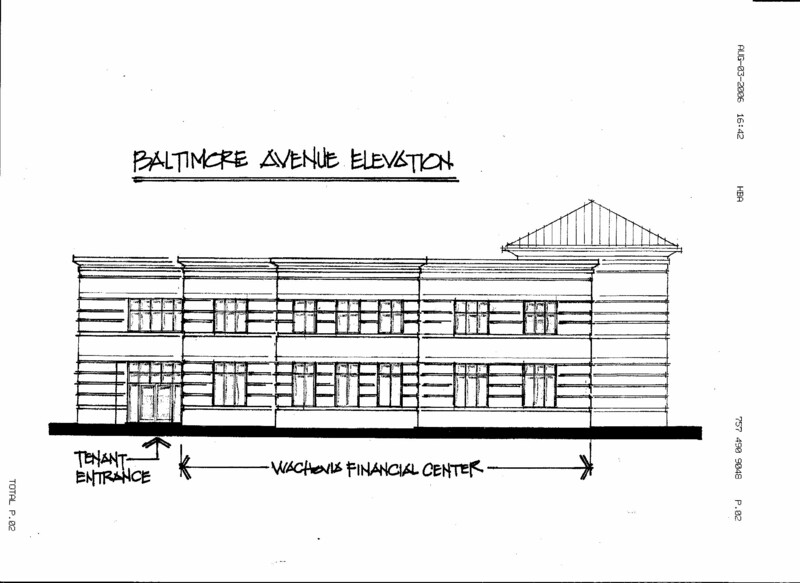 Drawings of the proposed Wachovia Bank at the corner of Baltimore Avenue (Route 1) and East-West Highway (Route 410) can be seen here (top view of the site), here (side view from Baltimore Avenue), and here (view, facing north, of the main entrance to the bank). The budget, as adopted by the Town Council, for the Town for the 2006-2007 fiscal year (which started July 1) is available in Microsoft Excel and Adobe Acrobat formats. Minutes for the June legislative session are not yet available; they were not approved by the Town Council at the July legislative meeting. The Town is seeking a new Director of Public Works. If you are interested, or know someone who might be, please look at the job posting. The Town of Riverdale Park is interested in your thoughts about how to strengthen our town center, make it a livelier place, and ensure that it meets the community’s shopping needs. The Riverdale Park Town Center includes Route 1 and the business space at the MARC train station and Queensbury Road. Go online to fill out your survey or fill one out at the Town Hall or Farmers’ Market. The survey will be available until July 21, 2006. Details are available in the July/August issue of the Riverdale Park Town Crier. The Mixed Use Town Center (M-U-TC) Architectural Review Committee scheduled for July 5 is cancelled. No applications were received by this month's deadline. The next regular meeting date is August 2 at 7:30 pm. Town Criers for June and July/August are now available. The July/August calendar and fliers for the Farmer's Market (in English and Español). Minutes for the May legislative meeting are available. Town Criers for April and May are now available. Minutes of legislative meetings are available for March and April. Finally, there are summaries of the proposed budget for FY 2006-2007 in Adobe Acrobat and Microsoft Excel formats. Please report any problems to webmaster@ci.riverdale-park.md.us . Town Criers for February and March are now available. The Traffic Study Committee will meet at 7:30 pm tonight at Town Hall, 5008 Queensbury Road, to discuss traffic issues in the town and possible solutions. All members of the public are encouraged to attend. The Mixed Use Town Center (M-U-TC) Architectural Review Committee is cancelled on March 8. No applications were received by this month's deadline. The next regular meeting date is April 5 at 7:30 pm. Results for the election are available! Mr. Oppenheim was sworn in by Mayor Archer immediately. Congratulations, Rob! Ward 1 Special Election Runoff TODAY!!!! The runoff for the special election to fill the vacant Ward 1 council seat will be held TOMORROW, February 18th, at Town Hall, 5008 Queensbury Road. The polls will be open from 8:00 am to 8:00 pm. The meeting of the Mixed Use Town Center Architectural Review Committee scheduled for Tuesday, February 21, 2006, has been cancelled. The March 1 regular meeting is likely to be delayed. Update: (2/17 6:23 pm) Wachovia has given plans to Park and Planning, so the February 21 meeting is ON. The Town is preparing a list of infrastructure issues which need to be addressed to be solved as part of a comprehensive plan. If there are any issues with streets and sidewalks that you would like to see fixed, please let the town know, preferably in writing (5008 Queensbury Road, Riverdale Park, MD 20737 or town@ci.riverdale-park.md.us). The runoff for the special election to fill the vacant Ward 1 council seat will be held on Saturday, February 18th, at Town Hall, 5008 Queensbury Road. The polls will be open from 8:00 am to 8:00 pm. As promised, the December Town Crier is available. Minutes from the meeting of the Mixed Use Town Center Architectural Review Committee meeting on December 7 are available. Potomac Development announced at the Town Council meeting tonight that Wachovia Bank is the proposed tenant for the property at the corner of East-West Highway and Route 1. The Mixed Use Town Center Committee will meet tomorrow night, January 4, 2006, at 7:30 pm at Town Hall, 5008 Queensbury Road. The agenda will include an initial presentation about proposed development at East-West Highway and Route 1 (see above). No candidate received a majority in the election, so there will be a runoff in early 2006. Robert Oppenheim, who received 100 votes, and D. Roland Walker, who received 86 votes, will be the two runoff candidates. Bruce Wernek, who was a write-in candidate, received 31 votes. The schedule of this runoff is to be determined by the Town Council in consultation with the town attorney, but will probably not occur before January 24, 2006 (and probably later than that). The special election to fill the vacant Ward 1 council seat is TODAY, December 10, 2005, from 8:00 am to 8:00 pm. All Ward 1 voters are encouraged to come to Town Hall (5008 Queensbury Road) to help decide who will represent you on the Town Council. Congratulations to Police Chief Parker! Congratulations to Chief Parker of the Riverdale Park Police! On December 1, he completed 25 years of service as a member of the Riverdale Park Police. We all appreciate his years of hard work and dedication to making our town safe. The M-UTC (Mixed Use Town Center) Committee will meet tonight, Wed Dec 7, at 7:30 at Town Hall. The agenda includes an application from Douglas Development and an informational presentation from Patriot Group regarding proposed projects in the town center. Douglas Development will present plans for renovation and an addition to 4701 Queensbury Rd (the former Bookstore and 2-story building attached to it). The project would result in a 2 story building with retail on the ground floor and office space above within the existing footprint. 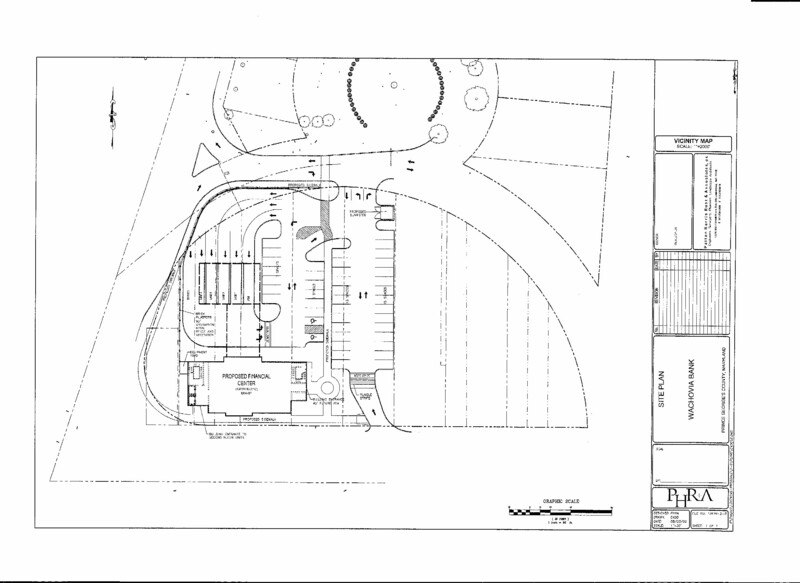 Patriot Group will present a concept plan for development of 4705 Queensbury Rd, 4700 Riverdale Rd, and 6103 Lafayette Rd (the Credit Union, Dumm's Corner Grocery & Subs, and Boarding House). The concept plan proposes two 5-story buildings which together include 8,000 sf of retail and 138 condominiums. The presentation is not an application for a variance, as there has not yet been a complete application submitted. The prese! ntation's purpose is to facilitate discussion regarding proposed uses, height and parking provisions, and M-UTC conformance. A copy of the Riverdale Park M-UTC Development Plan is online at http://www.mncppc.org/cpd/PDFs/Riverdale/Riverdale.pdf The plan specifies the town's goals for desired development within the M-UTC zone. The Traffic Study Committee meeting scheduled for December 6 has been cancelled. The proposed charter amendment is available as an Adobe Acrobat document at 2005-CR-XXRunoffSchedule.pdf, or plain text at 2005-CR-XXRunoffSchedule.txt. This amendment, if passed at next weeks' council meeting, will become effective fifty days after passage. Update: Passed by the Town Council on December 5, 4-0. Changed effective date to fifty days after adoption (previously forty in this news item) to reflect state law. As noted in discussion during the council meeting, with regard to the Ward 1 special election, the town attorney stated that the council can schedule a runoff the day the amendment becomes effective (for a date 21 to 30 days later) should it be necessary. There will be a Special Legislative Meeting following the work session Monday, November 28, at Town Hall (5008 Queensbury Road). This meeting will consider an Emergency Amendment to the Charter to clarify the timing of a runoff election if no candidate receives a majority vote in a special election. Members of the public are encouraged to attend. We seem to have fixed the compatibility issues with the back issues of the Town Crier, and have uploaded the fixed back issues to the web site. Uploaded issues include May, June, July/August, September, October, and November. Two candidates filed petitions to run in the Ward 1 special election: Rob Oppenheim and Roland Walker. Both petitions have been validated by Chief Judge of Elections Kay Marcos. (Updated 8:10 pm to report validation of petitions). Last week Council Member Tracey Toscano resigned because she was moving to another town (you can read more details about her departure in the Gazette). As posted on telephone poles around town, there will be a special election to fill her slot on December 10 from 8:00 am to 8:00 pm. Anyone wishing to run for the position needs to get a petition to the Town Office by 5:00 pm today. The position of editor for the Town Crier is open after the resignation of the previous editor. Anyone wishing to do this job should contact Mayor Archer or your Council Representative. The Town Crier for November is available here. The Town Crier for October is available here. We've heard from a few people that the PDF file won't display in their reader -- we're working to fix the problems.